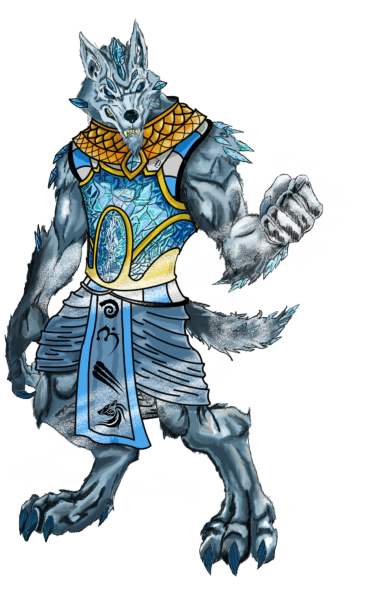 Tall, but rail-thin Wolfen, his most notable feature is a ribbon of ice blue fur from snout to tip of tail. He received his name when he fought in the gladiatorial ring in the Western Empire as a pup- and he thought it funny, so he kept it. His fur always appears wet, no matter how dry the day. Picture from our own AZ_Rune.